The Lab will take place in the city of Molfetta, in the heart of Puglia, about twenty kilometers from Bari, the regional capital. The Lab is a strategic partnership between The Ark Lab and the Cattolica Popolare di Molfetta, a cooperative society established in 1902 as a Bank and which today has more than ten thousand members, whose mission is to grow and to develop business for the benefit of the region. The Ark Lab will be held at the headquarters of the old Banca Cattolica di Molfetta, in the heart of the city, where a permanent International Technological Hub will be inaugurated, where the development of projects with a high technological and innovative content will take place. Molfetta, less than 20 km North from Bari, is one of the most important fishing centre in the region. The historic centre, famous for its “fishbone shaped” alleys, is dominated by the Romanesque Duomo of San Corrado, an architectural gem of the old city with two towers, and also by the Torrione Passari, belonging to the ancient city walls, the Church of Sant’Andrea and the Diocesan Museum. Puglia is a treasure trove of art, history, and nature. A land of sun and hospitality. It’s located on a strip of land in southeastern Italy, in a strategic position in the heart of the Mediterranean. 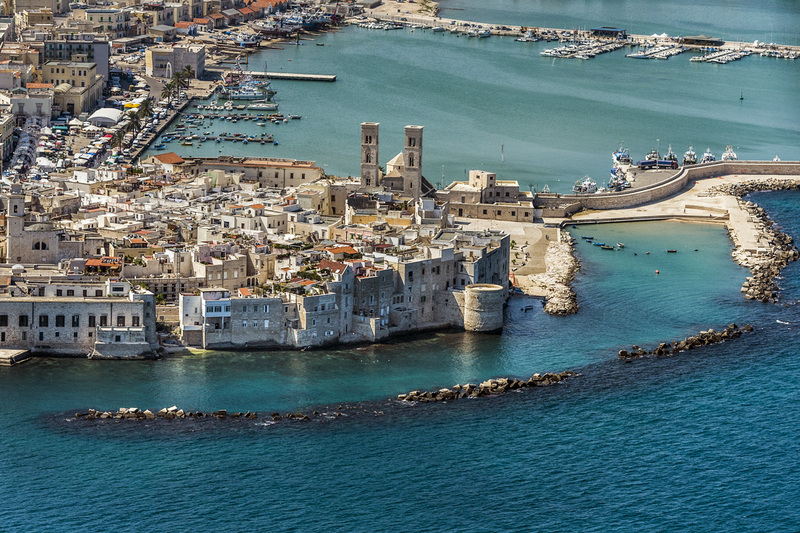 Trani, a few kilometers from our headquarters, is one of the most beautiful coastal towns in Puglia, home to a wonderfoul Romanesque cathedral and one of the most characteristic tourist ports in the Mediterranean.